“GEPSI Immigration Services” is a private limited company based in Ahmedabad, India and is not a part of any government organization. We only offer consultancy, assist clients with their Canadian visa applications and are not authorized to grant you any kind of Visas – temporary or permanent. We prepare and process your applications, but the authority to accept or reject your applications lies with the appropriate government authority in Canada. However, we try our best to achieve your Canadian immigration goals. 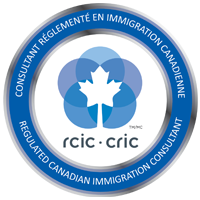 We strictly adhere to Canadian immigration rules and regulations and do not indulge in any illegal activities or anything that violates the governmental procedures. And we expect our clients to provide us with the right information regarding their occupation, intent to enter into Canada and other required details.